General Finishes Driftwood Milk Paint goes with just about any color! 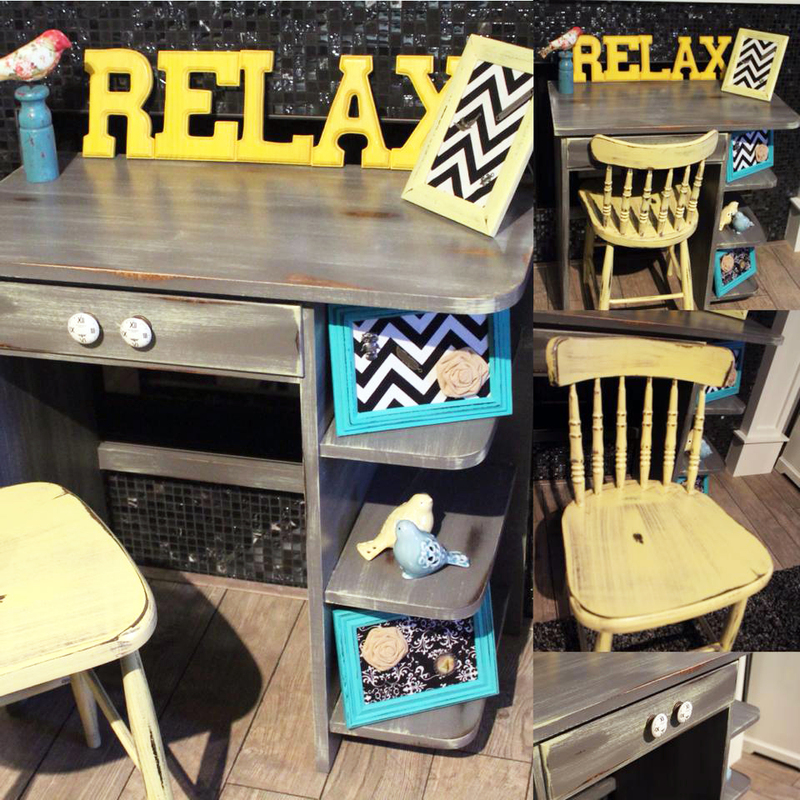 Airdrie Furniture Revival has paired it here with GF Buttermilk Yellow Milk Paint. Great combo!